When my parents first got married my dad was working as a chef at various restaurants in Chicago. He ended up on a much different career path, but he remained the chef in the family throughout my childhood and even now. 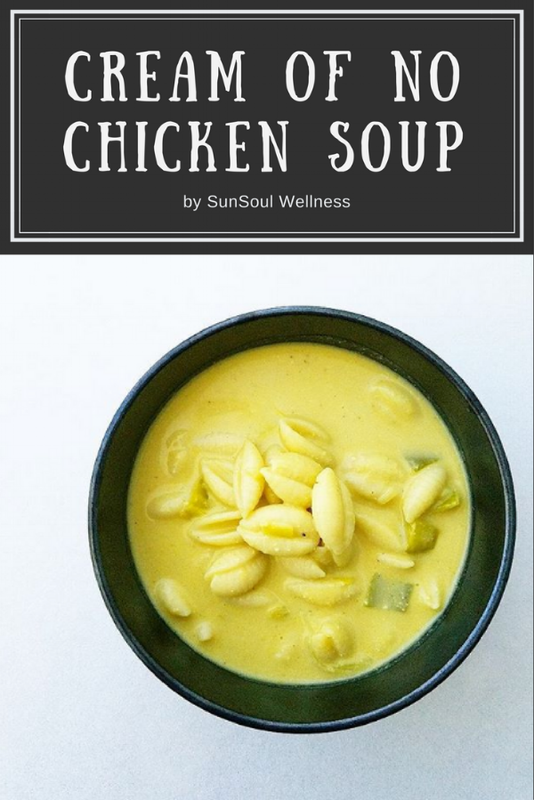 His most famous recipe is his cream of chicken soup, which our entire family looks forward to at every holiday gathering and especially on Christmas. Since making the switch to a plant-based diet a few years ago I have been missing this special, nostalgic comfort food, and to be honest, I don't know why I never tried to create a plant-based version before! Well, this year was the year, and I am quite proud of how it turned out. Using a hearty veggie stock and cashew cream I was able to mimic both the texture and the taste of my dad's recipe. All the creamy, warm goodness with no animal products! This recipe requires plenty of soaking time for the cashews and a high-speed blender for making the cream. You can use store-bought veggie stock or make your own! The leek in this recipe really adds to the flavor. 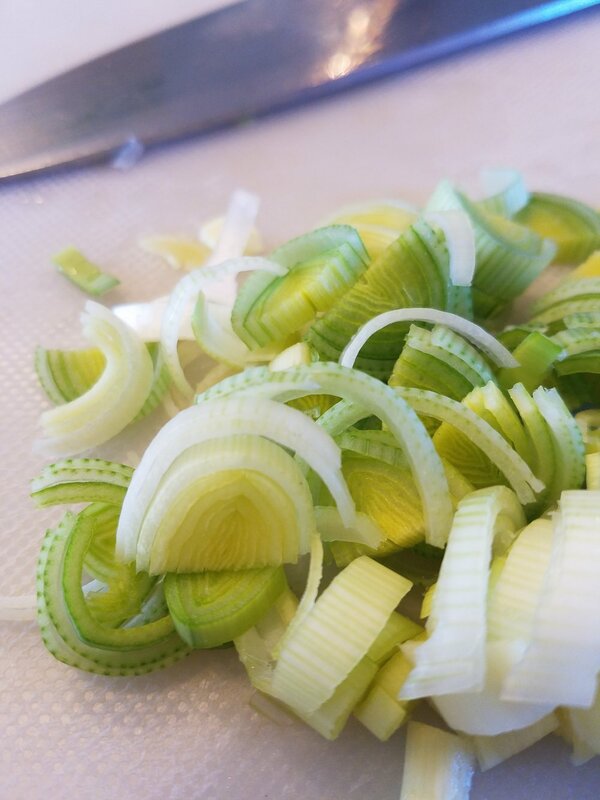 Leeks can be a little dirty, so make sure to rinse between the leaves! This soup is so easy to make, and I'm proud to share with you this plant-based version of our family's favorite soup!